The symbol of the city of Zadar and the most famous monumental edifice in Croatia from the early middle Ages Church of St. Donat is round pre-Romanesque church which was called the Church of the Holy Trinity until the 15th c., and from that time on carries the name of Saint Donat, by the bishop who had it built. The church was mentioned for the first time in mid 10th c. in the documents of the Byzantine emperor Constantine VII Porphyrogennetos. 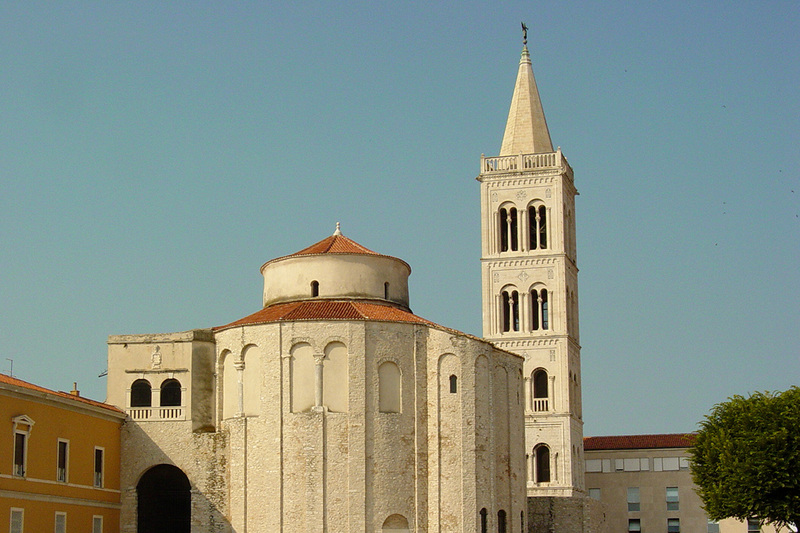 As a symbol of the city of Zadar and the most famous example of early medieval Croatian architecture, the church is unique in Europe. Due to its superb acoustics, it is also a popular venue for music events. The colorful Church of St. Mark is one of the oldest buildings in Zagreb and of its symbols. It is first mentioned in the list of parish churches in the Capitol Statute of 1334. 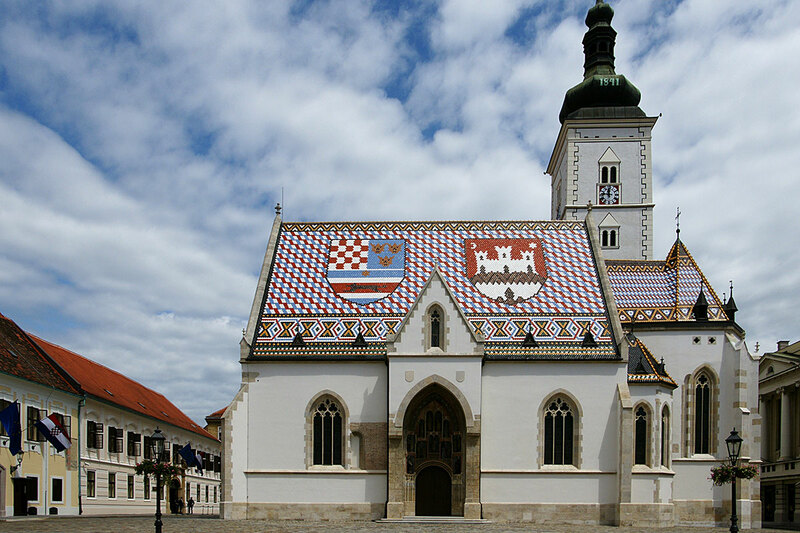 St. Mark's Church is easily recognizable by the checkered design on its roof depicting the coat of arms of Croatia, Dalmatia, Slavonia, and Zagreb city. It was built in the 13th century; from that first, Romanesque period, only a window in the south wall and the bell-tower foundation are preserved. Gothic arches and the shrine were built in the second half of the 14th century, when the church got its most valuable part - luxurious Gorhic south portal. In terms of figures it contains, that Gothic portal is one of the most beautiful one in Croatia. It was made in the Parler workshop, one of the most famous medieval sculpting workshops. The north - western wall contains the oldest known coat - of - arms of Zagreb from 1499. The church was thoroughly reconstructed in the second half of the 19th century, based on the designs of Viennese architects Friedrich Schmidt and Hermann Bolle. It underwent another reconstruction in the first half of the 20th century. At that time, renowned painter Jozo Kljakovic (1888 - 1969) painted its walls, while the altar was decorated with works of the sculptor Ivan Mestrovic. Capitol Square is dominated by this cathedral, formerly known as St Stephen’s. The Cathedral of the Assumption of the Blessed Virgin Mary is dedicated to the Assumption of the Virgin Mary into Heaven and to Saints Stephen and Ladislaus. The typically Gothic cathedral is known as „Katedrala Marijina Uznesenja” in Croatian but English speaking tourists often refer to it as the Zagreb Cathedral. 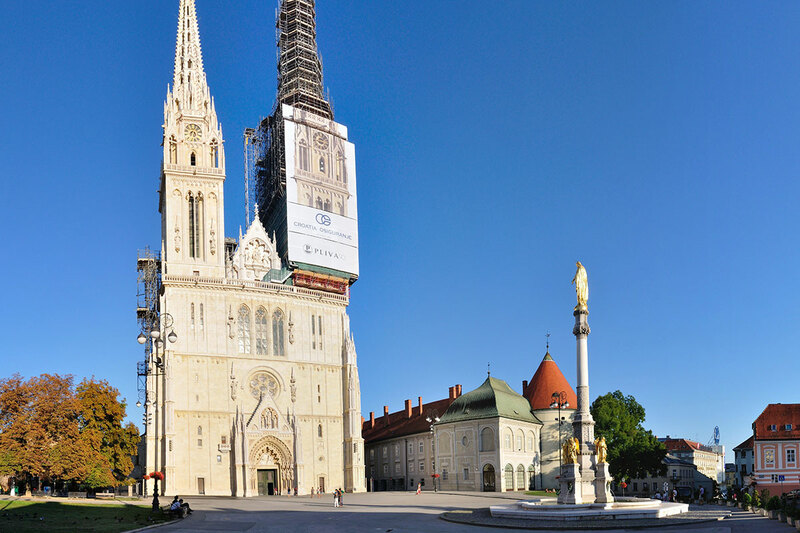 Its twin spires, which can be seen from many parts of the city, make it the most visited attraction in Zagreb. Although the cathedral’s original Gothic structure has been transformed many times over, the sacristy still contains a cycle of frescoes dating from the 13th century. An earthquake in 1880 badly damaged the cathedral and reconstruction in a neo-Gothic style began around the turn of the 20th century. 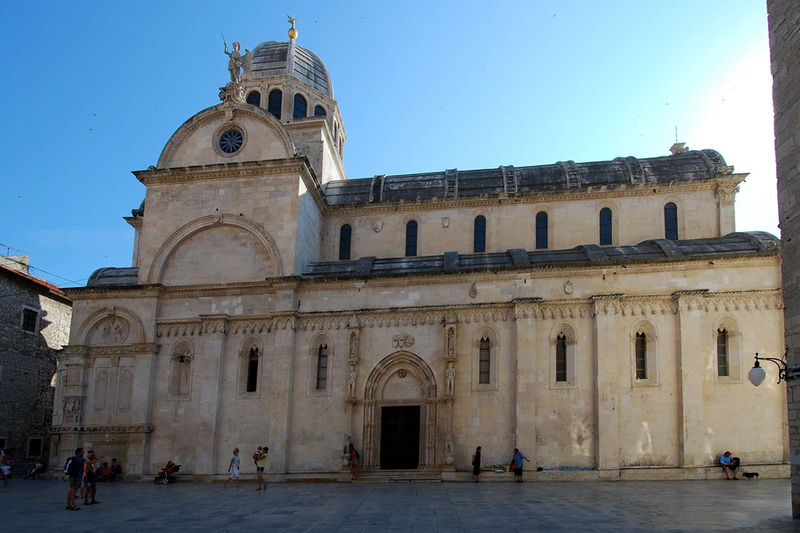 Built between 1431 and 1535, St. Jacob’s Cathedral witnessed important exchanges in the area of monumental art between North Italy, Dalmatia and Tuscany in the 15th and 16th centuries. Three architects - Francesco di Giacomo, George of Dalmatia and Nicholas of Florence – developed a structure fully made of stone, by using a unique technique for the cathedral’s dome. The result is a harmonious stone whole, arrangement methods and absolute harmony within the cathedral. The cathedral of St. Jacob is well known for the iconographic innovations, among which the frieze of 74 head sculptures, which are individual portraits of the contemporaries of Juraj Dalmatinac, takes special place. It is considered to be the most numerous portrait gallery of the highest quality exhibited as the public monument on a sacral object in Europe. Also, introduced was the relief representing Father God with the dove of the Holy Spirit and angels on the vault of the baptistery of the Cathedral.